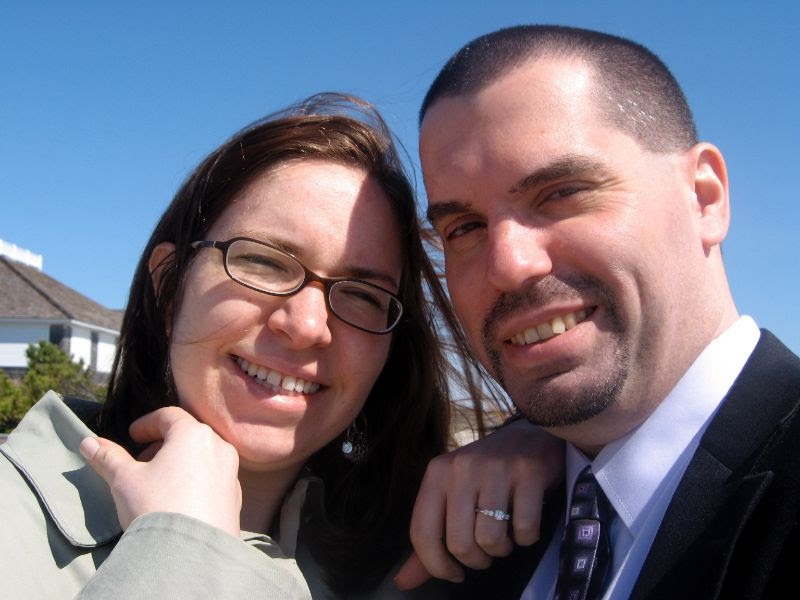 After dating Alison for nearly three years, I was all set to pop the question to her on April 10, 2009…her birthday. We both took off from work that day and I was going to make her breakfast before proposing. But she woke up way earlier than I expected her to, and worse than that…she said she wanted to call her dad about something at work. Of course, I did the old-fashioned thing of calling him the night before to let him know and seek permission, etc. So now I’m thinking he’s going to think she’s calling because it already happened and spoil it. And I asked Alison if she would marry me. For some reason, she said yes. I don’t know why, but I’m glad she did because I don’t know what I’d do without her. 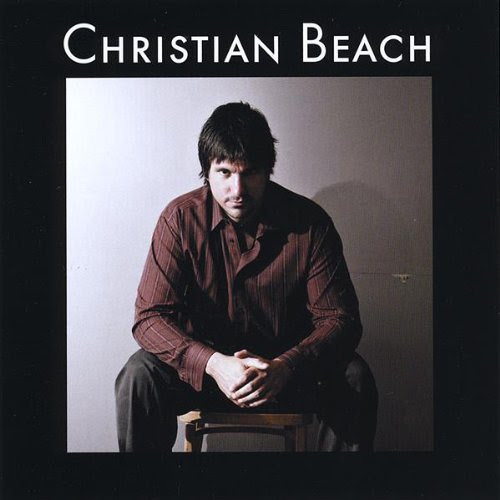 My longtime friend Christian Beach released his first – and, so far, only – solo full-length album in early 2009, a self-titled collection of 12 brilliant tracks of rock, folk and Americana goodness. 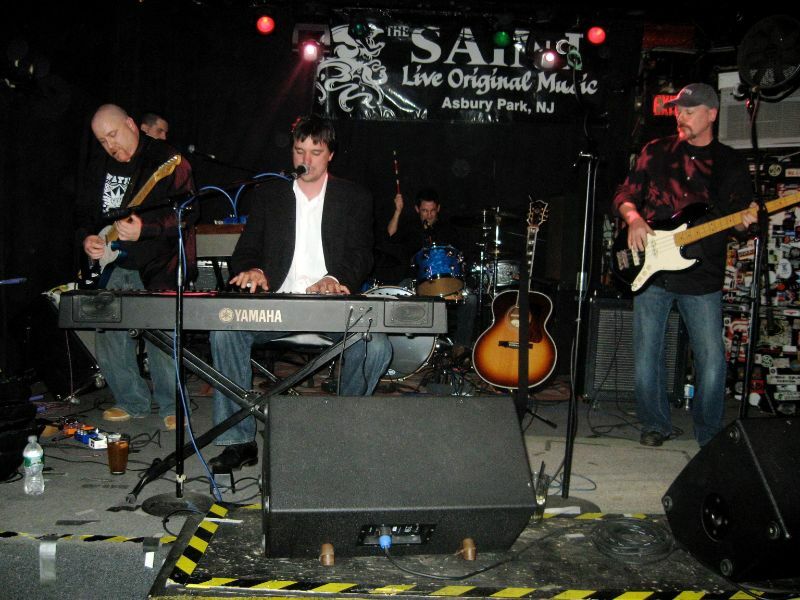 Christian set up a CD release party at The Saint on April 10, 2009. Of course, I agreed to perform with him before a firm date had been set…and it just happened to be not just on Alison’s birthday, but on the very day I had planned to propose to her. So that was awkward. But I wound up proposing to Alison in the morning and we went to Asbury Park that night for the show. It was a great day all around, really. 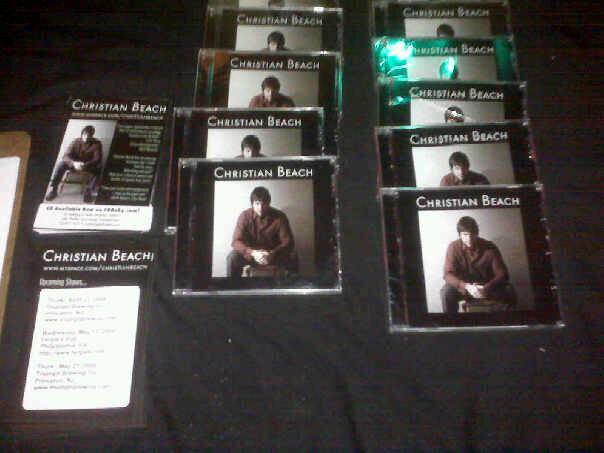 By the way, I designed the CD packaging, “buzz” cards and flyers (Christian provided the photo). 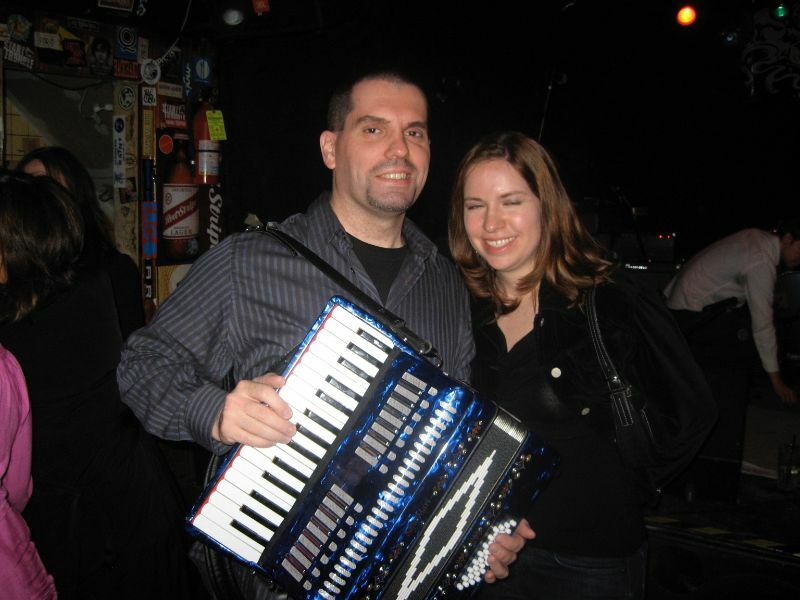 And, yes, unfortunately, below is the only photo of me and Alison together at the show (which is also the only picture of us together that I know of from the day of our engagement)…although I’d like to point out that Alison’s eyes are only partially closed. 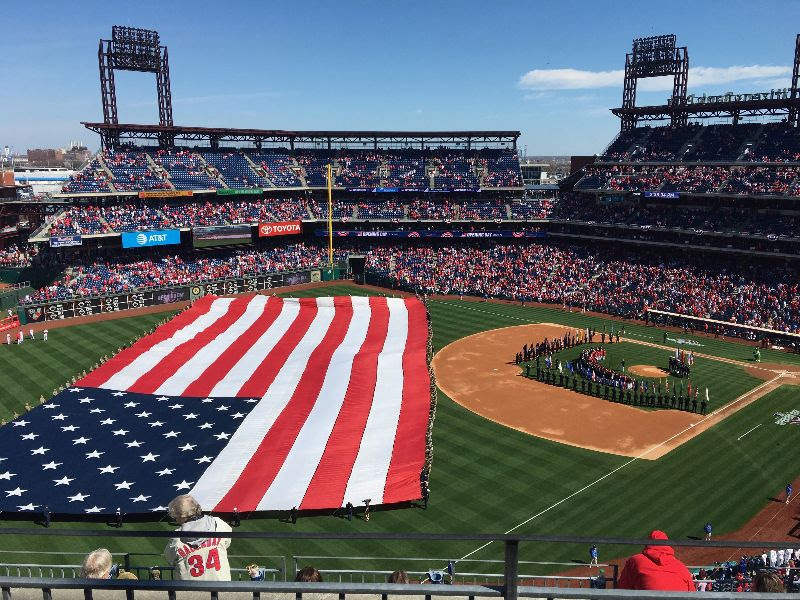 Graham and I had a fun time watching the Atlanta Braves take on the Philadelphia Phillies on Opening Day at Citizens Bank Park. 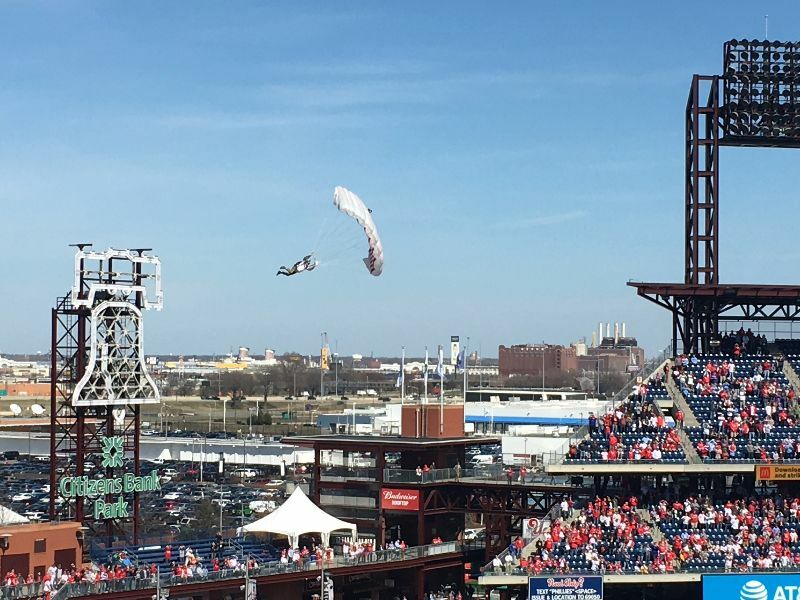 Andrew McCutchen got the Phillies going with a leadoff home run in the first inning. 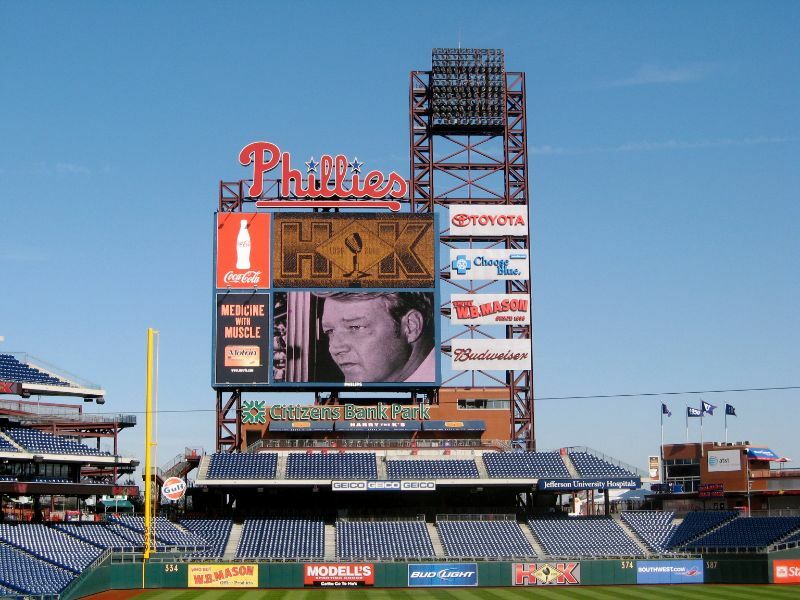 And while Bryce Harper went hitless in his official Phillies debut, his presence in the lineup was felt as he was intentionally walked to load the bases in the 7th for Rhys Hoskins, who put the game away with a grand slam that made it 10-3 Phillies. The final would be 10-4. Another noteworthy memory from this game was that I tried Questlove’s Cheesesteak, a plant-based meatless cheesesteak created by The Roots drummer in partnership with Impossible Foods. Have to say it wasn’t bad. 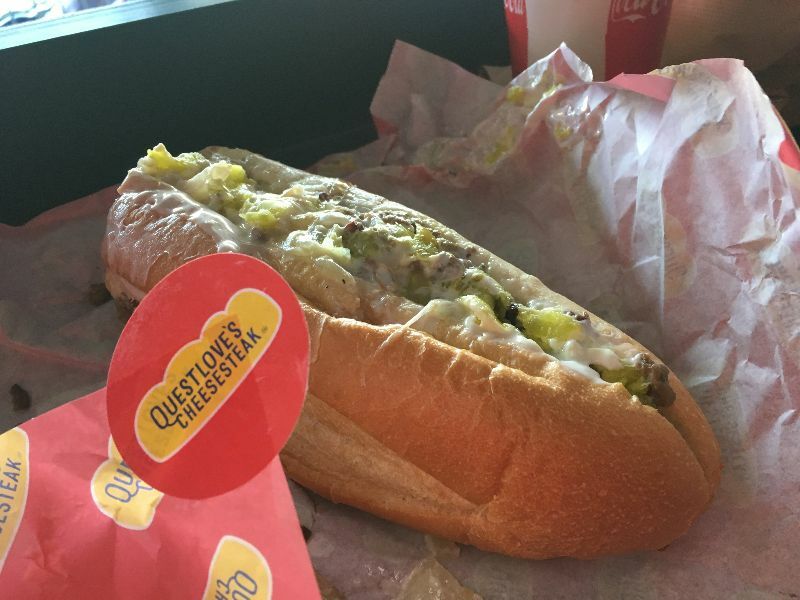 The cheese sauce and pepper relish give it plenty of flavor, and the meat substitute was passable. It’s pricey at $14, but a pretty decent size. 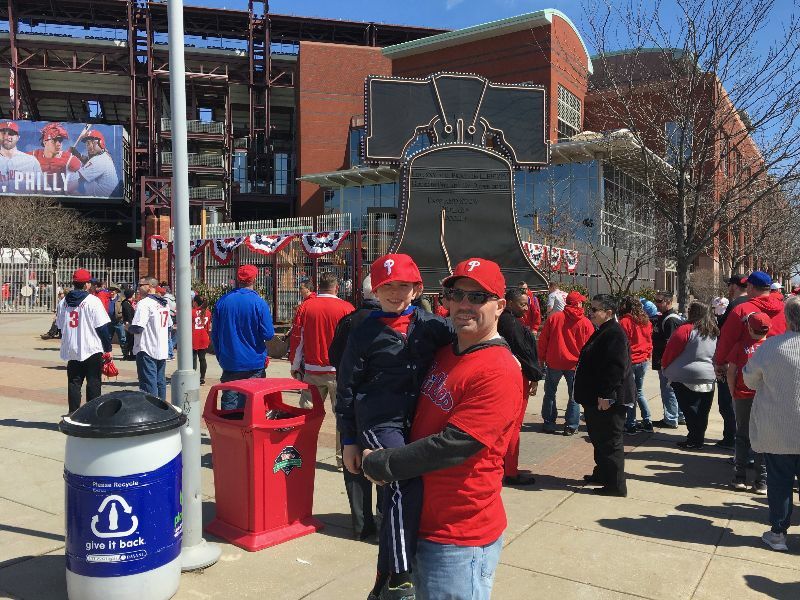 It was much better than Questlove’s ceremonial first pitch that day…yikes! 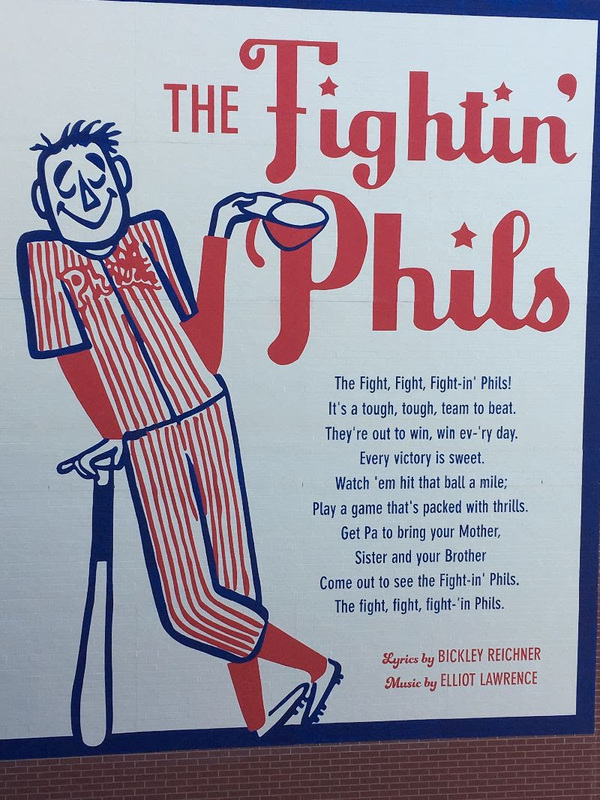 Another interesting thing I found at Citizens Bank Park this year is this huge mural on the side of the left-field ramp structure facing the upper concourse showing the lyrics to the old “The Fightin’ Phils” song that I’ve been seeking forever…except apparently I stopped searching for it in 2012 because it seems it was posted on YouTube back then. You can find a link to it under the photo. 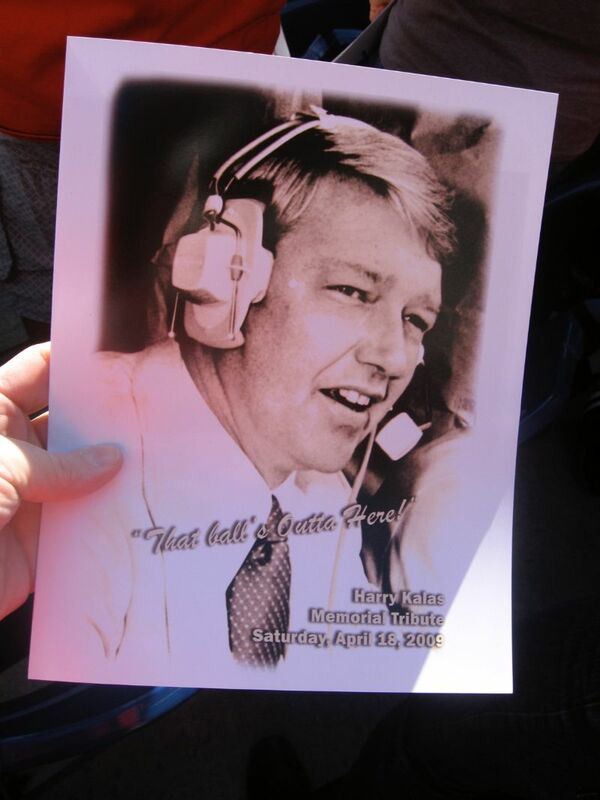 April 13 marks the 10th anniversary of the passing of Phillies Hall of Fame broadcaster Harry Kalas. 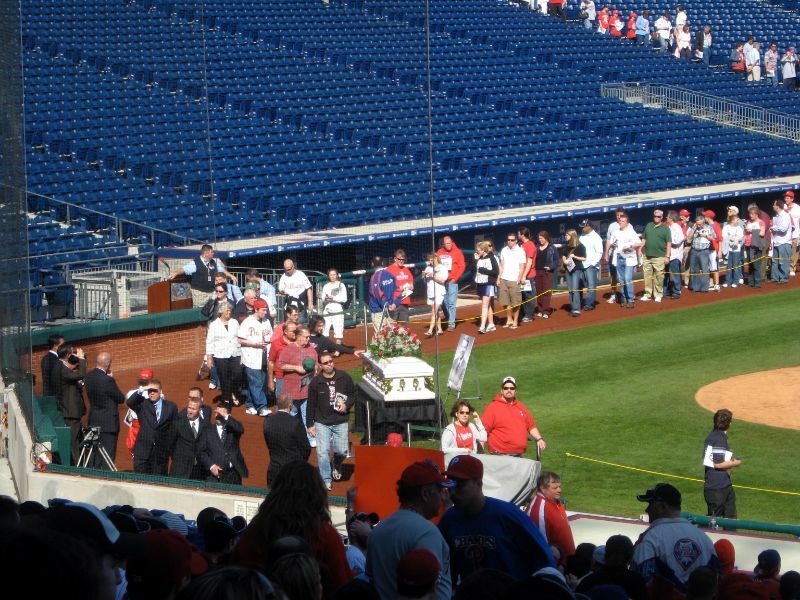 Five days later, Alison and I went to Citizens Bank Park for a memorial service. 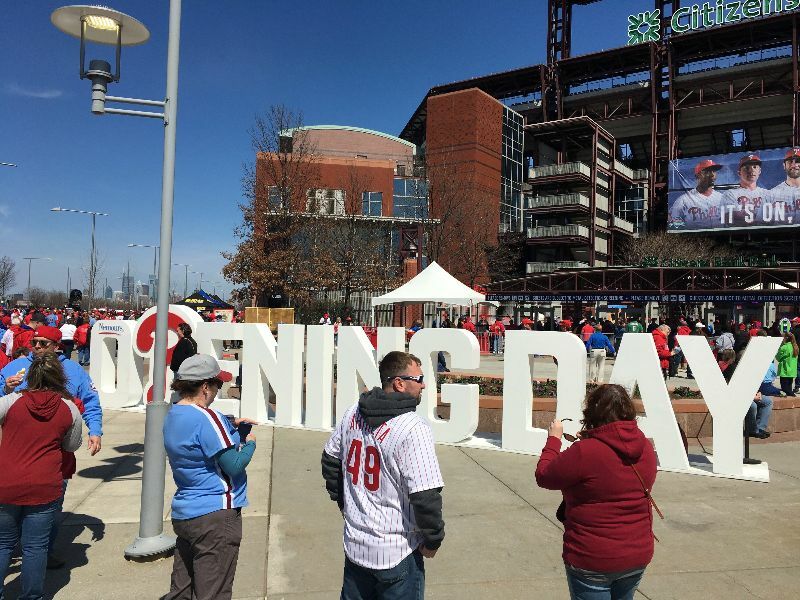 By the time we arrived, the line to get in was already beyond the scoreboard tower outside the ballpark along the third-base side. 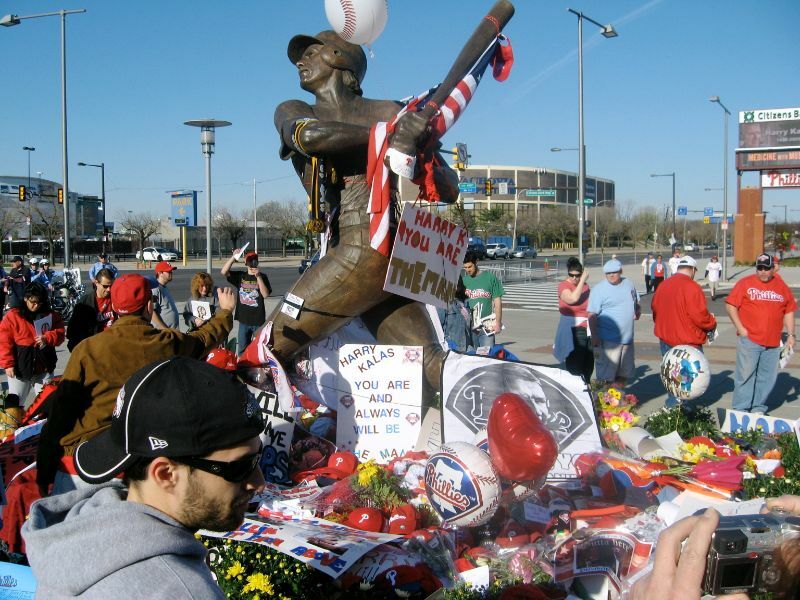 When we finally approached the entrance at the third-base gate, I was excited to see a free coffee station set up. But as I leaned over to get my coffee, two men up ahead greeting everyone on line grabbed my attention. Suddenly, and it’s hard for me to even write this, the free coffee was no longer a big deal. I just remember being kind of stunned for a minute before releasing the words: “Oh wow. Bill Giles and David Montgomery are greeting everyone.” Giles at the time was the team’s chairman (now chairman emeritus) and Montgomery was team president (now chairman). The guys behind us heard me and were also kind of floored. They really didn’t have to stand there and thank everyone for coming, but that’s exactly what they did. 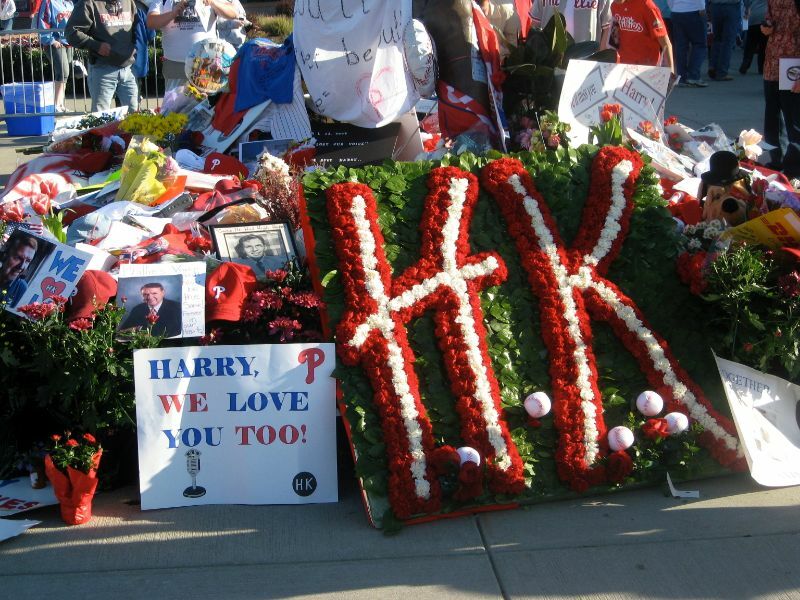 It was pure class and it showed how much they loved Harry. I will never forget that. That’s when I appreciated the value of Twitter as a news distribution platform….even if the news is heartbreaking. 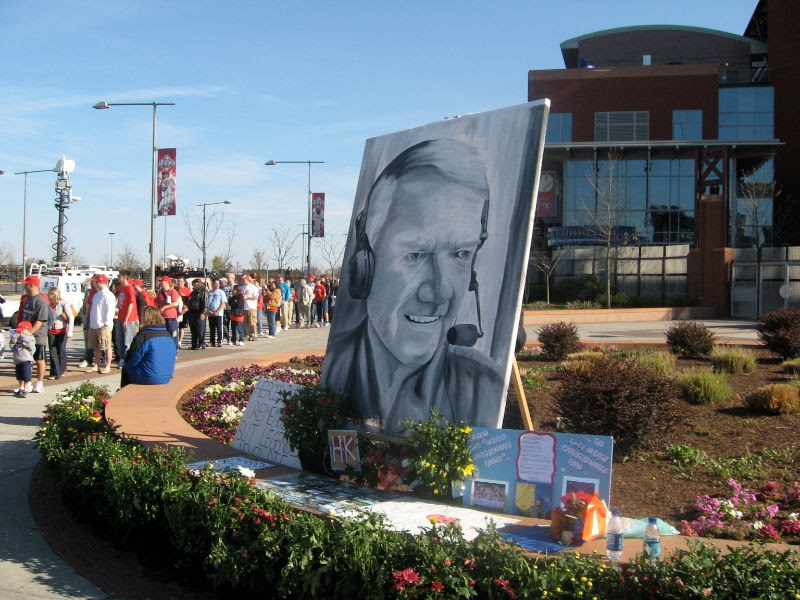 Here are some photos from Harry’s memorial service. Well, my self-diagnosis was apparently correct: trochanteric bursitis. I was prescribed a combo anti-inflammatory/painkiller and applied ice a few times a day while resting as much as I could. I’m back running, although I am not anywhere close to being ready for the New Jersey Marathon on April 28. As long as my hip holds out, though, I’m going to give it a shot. My 30th year reunion of my high school class is this summer and I’ve been feeling a bit nostalgic lately. I mean, I’m generally nostalgic by nature, but reunions freak me out a bit. Anyway, that was the lyrical inspiration for this work in progress. Musically, I wanted to do some out-of-character things with my voice and do something a bit trippy — probably since the only song I’ve been listening to the past few days has been Tame Impala’s “Patience” (see below). This was going to have a similar piano intro, but I came across a piano-like patch that had this vinyl LP scratching underneath that fit with the nostalgia theme. Also, I love that unintentional brief pause between chords that evokes a skipping record…it underscores the tension I feel about reunions. Here are some recent music releases I would like to share. “Get Out And Get It” is the latest preview track from Nashville-via-Philly area singer-songwriter Devon Gilfillian ahead of the expected release of his debut full-length album later this year. This is, I believe, the fourth song he has released in the past year or so. I’m not sure which of those will end up on the CD, but these have me really looking forward to it. Devon’s killer set at last summer’s XPN Festival turned me into a fan for life and I expect him to really hit it big in the next two or three years. XPN is playing the heck out of this infectious pop/R&B track from Lizzo’s soon-to-be-released album, Cuz I Love You. Oddly enough, while it is getting plenty of love from non-commercial radio stations like XPN and has charted on the U.S. R&B, hip-hop and dance charts, the single hasn’t crossed over to the Hot 100 list…yet. Honestly, this song should be all over the airwaves. A reminder that I am once again running the 5K component of this year’s Eagles Autism Challenge, if I can find a few days of health and start running again. I’m not too far from reaching my fundraising goal so a few more small donations should put me over the top. 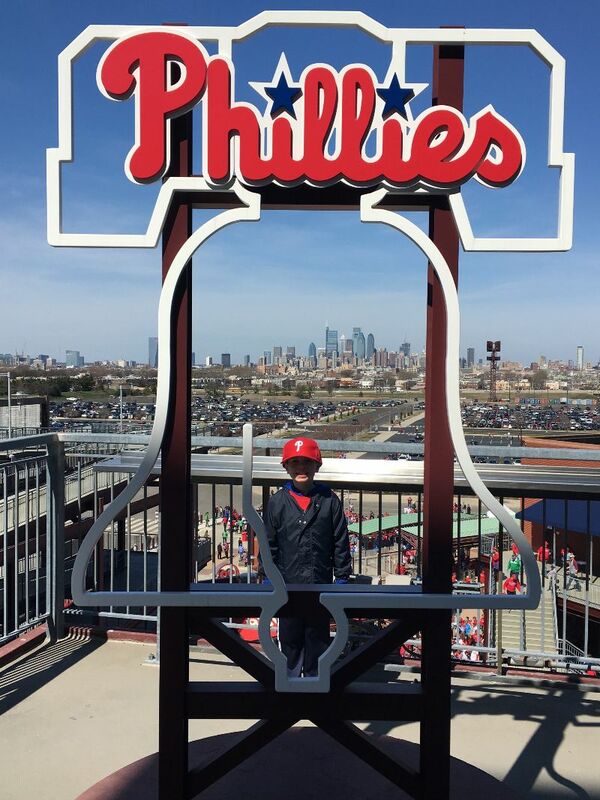 My son Benjamin and I greatly appreciate your support. Here are my key races for 2019…so far. 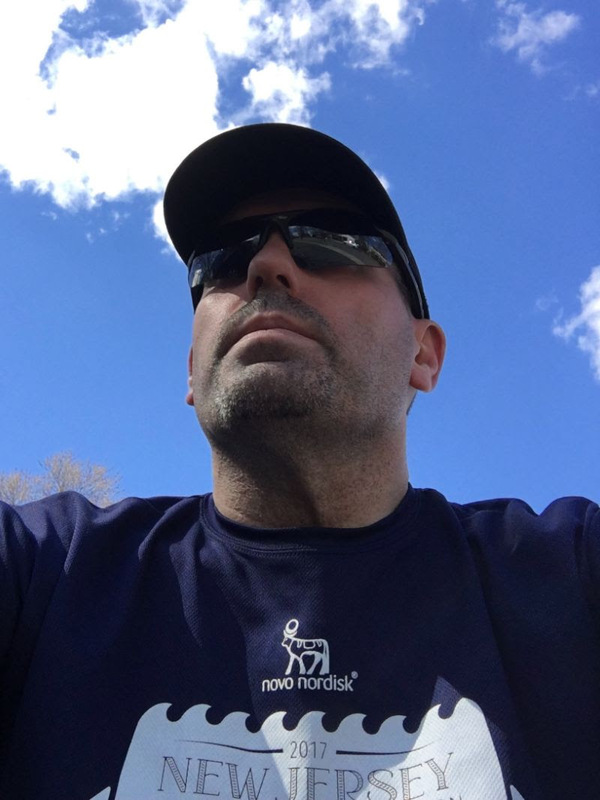 They include another marathon, which will be my fourth (2 New Jersey Marathons, 2 Philadelphia Marathons), and my return to the Olympic-distance Atlantic City Triathlon (1-mile swim, 22-mile bike ride, 10K run).